1 Understand the requirements of the profession. 2 Choose your major focus area and get educated. 4 Know what the employer wants. 6 Apply for the work you desire. Do you want to become an animator? This is one new artistic career path with lots of opportunities, and also offers one the chance to learn a number of new things along the line. As an animator, you will get to create some special effects and animation. You will also get the chance to work with several media like computers, movies, commercials and music videos. As a professional animator, your creative abilities will come to the fore. Whether you are considering going back to school to work as an animator, or you just finished from college and require some advice on how to begin a new career, or you have your heart on choosing a new career, these 5 steps on learning how to become an animator will guide you through the entire processes involved in mastering this profession. Understand the requirements of the profession. From the United States Bureau of Labor Statistics. Choose your major focus area and get educated. One of the basic requirements for pursuing a career in animation is to have a bachelor's degree in art or design or any other post-secondary training. Though some are able to make a headway in this profession with mere talent and no formal education, it helps to get adequate knowledge of the software the basis of animation, and in addition, a good education can always give you an edge over other qualified candidates. Having said that, another area some animation experts get a degree in is in fine art and animation. Some degree programs people pursue in this profession include 2D and 3D courses in animation. 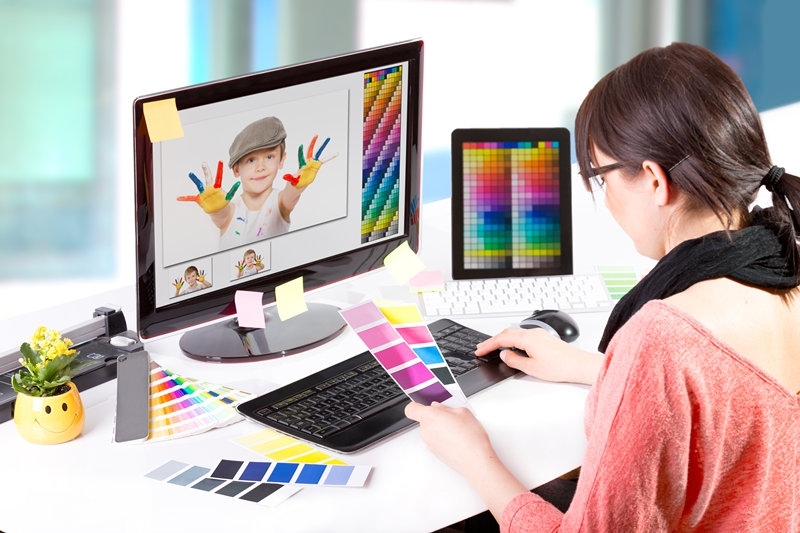 Students are taught the basics of developing characters and creating storyboards as well as models and people who want to go far in animation and any other art-oriented jobs are required to get a mastery of computer graphics. Build your demo reel or portfolio. During the program, every student should showcase creativity, artistry, and technical skills. Most employers ask the artists who wish to join their organization to submit links to the sites that contain their demo reel or a DVD to that effect when submitting their job applications. Most artists tailor these demo reels to showcase the technical skills and styles they possess that suits the requirements for the positions they are applying for. A big part of the animator's education is based on his/her work experience. Prospective animators are expected to take part in internships as well as some work-study programs to enable them to gather adequate knowledge from successful professionals who are working as animators already as a way of fine-tuning their focus and skills. Successful animators have a very high level of creativity, but are also expected to possess a vivid and visual imagination. They can get inspiration from sources like comics, movies, nature, and arts. No animator is expected to be uncomfortable with the prospect of trying out new things and should the basics of geometry; most of the working in 3D deals on the 3rd axis point. In addition, a number of animators equally undergo the study of anatomy, to enable them to gain deeper understanding on how both humans and animals carry out their physical movements, to enable them to get a more realistic animation. Know what the employer wants. As consumers' demands for more practical video games, movies, TV special effects, as well as 3D animated movies continue to increase, the demand for more multimedia animators and artists will continue to increase as well. More job openings will come from an increased demand for more website development and the adaptation of computer graphics from the different mobile apps being developed daily. There is also an increase in alternative job options for animators in scientific areas like design services and researches. Both animators and multimedia artists will experience a lot of competitions. Job openings that require less use of technology, such as cartooners, have lower demand and the demand could continue to ebb as jobs are outsourced abroad. Finding one area of animation you love the most and trying to know what is in high demand and what is not will help you fare better in the industry. To some animators, it is best to major in a particular field while at the same time working as a freelancing in another field. For animators who dream of advancing their careers, a master's degree will qualify them more for senior-level positions with larger paychecks. Having a master's degree in animation Fine Arts and Visual Effects can help animators gain mastery in storytelling using 2D and 3D designs. More advanced studies also enable the animators to gather some fresh ideas through joint team projects, networking, and other such collaborative techniques with established animators in the movie and gaming industries through workshops and lectures. Apply for the work you desire. This is the last step of how to become an animator: Submit your application to open positions of animation studios. Before applying for positions in animation studios, first consider if you wish to major in any specific area or industry. Do you prefer working as an animator for the movie industry and motion picture or in the public relation and advertising industry? Maybe you prefer working as a character and visual effects animator at a big studio or as an administrator or teacher in a computer animation project. Keeping your interests narrowed down can let you apply for job openings that tally with your interest levels. You are expected to show your interest and passion for a certain position or industry during your job interviews.